Description: Beautiful 4 bdrm ranch home offers lots of room to entertain, including huge living rm, dining rm, finished family rm & private patios. You'll love the quality this home features with newer windows, siding, roof, hardwood floors and tile. Master features private bath & tile shower. Kitchen includes newer appliances & pantry. 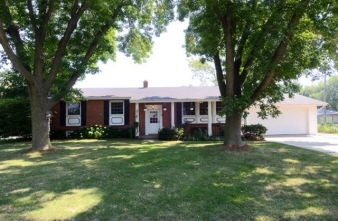 Lower level includes nice 4th bedroom, full bath, family room & huge workroom with direct vents. Spacious yard with garden, raspberry bushes & kennel. A must see! Vrp $189,888-$198,888.